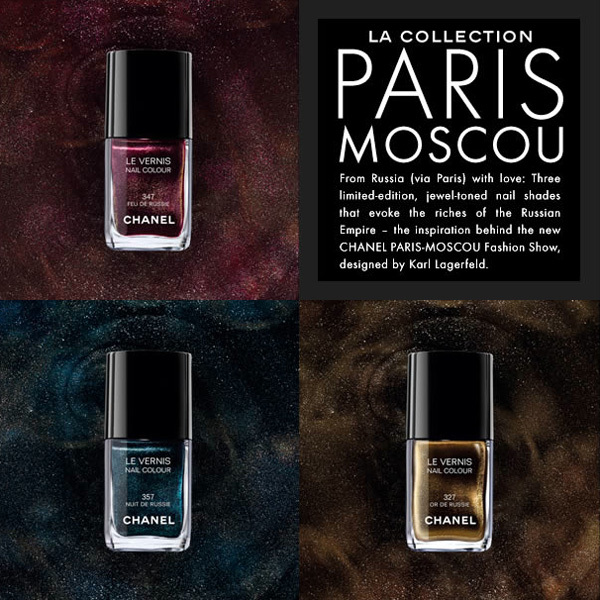 Ok, honestly, not much to say here other than, i’m kind of obsessing over Chanel’s ability to make such lust worthy nail polish colors ~ There are galaxies of possibilities in these colors, and i almost want them all! p.s. its driving me nuts that they so clearly photoshopped the colors… if only they made the effort to mess with the swirl patterns ever so slightly? i remember being obsessed with getting Vamp, however many years ago that was! im sold! i want i want! Just found your blog while googling Chanel nail polish. I actually bought these beauties today and have posted swatches on my blog if you want to see what they actually look like on nails. These are so gorgeous!! $90 well spent.